I have an 04 fx4 in true blue. 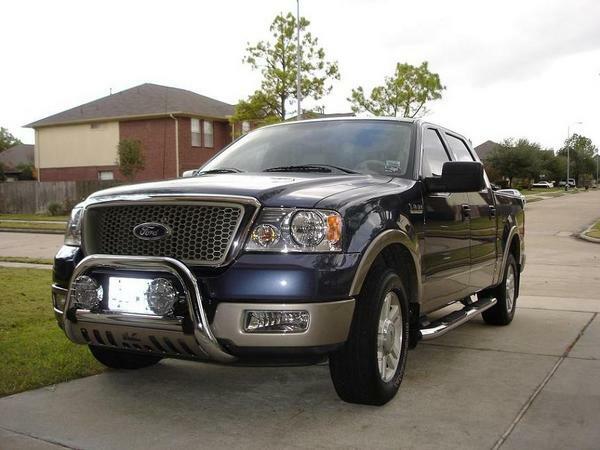 I was thinking of getting a bull bar or brushguard. Those of you who have them what do you recommend? Stainless or black? Also on the brushguards do the bars over the headlights make shadows or anything while you are driving? Please help me decide! While I don't have one, I'd love to get a stainless bull bar. I prefer the looks of a bull bar. 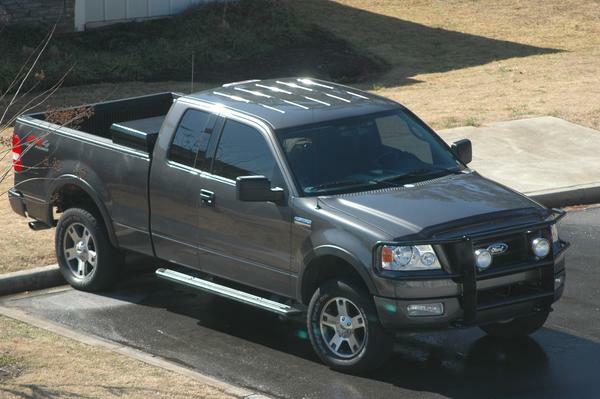 I am however going to sell the brush guard and get a black bull guard and a new grill. I think it makes the front end cleaner looking. I have stainless tube steps. I think stainless would look the best but I still can't decide between the bull or brush guard? Re: Bull Bar or Brushguard? I chose the Westin one in black, but I'm having it painted AZ beige. My truck's black w/ the AZ beige on the bottom. Other wise I'd have gone with the stainless. I think the stainless are also warrantied longer than the black ones. Can you add a winch to all brands? Your guys trucks look great! I agree with Serge. I would have already gotten the Westin bull bar on my truck, but I don't want to lose the tow hooks. unless its a work truck or you live in a swamp... you don't need those tow hooks... Get a Bull bar..
Quick Reply: Bull Bar or Brushguard?